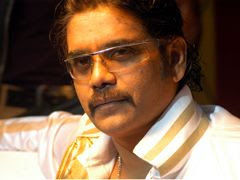 Nagarjuna – Lawrence film Don fared well in collection in the first week, but failed in subsequent weeks. Director Lawrence was very ambitious about his film. He even commented that there is no link between Hindi Don and his DON and after release Bollywood would like to remake his film upon its success. But, after the reversal of scene, Lawrence went to Chennai quietly and busy in Pandi Shooting. Where as, lead man in Don, Nag says that he’s not bothered about these talks. He feels that the film is of Hollywood Nature – technically, and people always want the new. He says further that this movie doesn’t have the story but has been pictured newly and differently. He strongly feels that the success of the film is to be decided viewers and not by media.